Every company that seeks growth should always track down a number of key metrics that indicate the true state of the company. The specific needs for your startup. There isn’t one paticular set of metrics that fits everything, but there are a few that are core to each industry which you need to be familiar with. 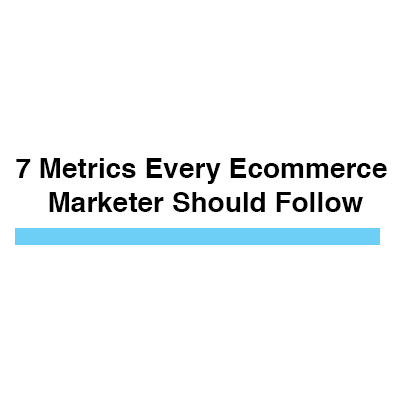 With inspiration from the Lean analytics book and a project I’m currently consulting, I’ve decided to gather a few metrics which I believe are essential for eCommerce startups. All the metrics presented in this infographic are explained on top-level. Therefore, I only relate to the industry, not to your startup state or specific needs. In order to use them, you will probably have to adjust to some of the formulas that fit your startup. Are you on Pinterest? Hover the image and click the “Pin It” button to share it to you Pinterest board.